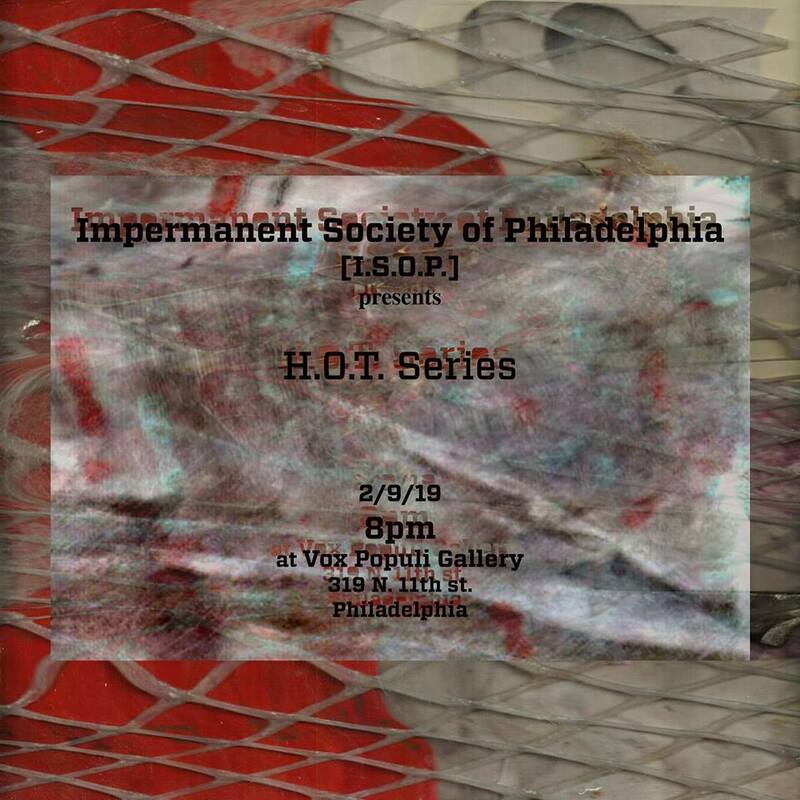 The H-O-T Series of Philadelphia, produced by the Impermanent Society of Philadelphia, is a mostly monthly performance event originated by dance artist Loren Groenendaal and experimental percussionist Flandrew Fleisenberg that features improvisational dance and music from local and touring artists. This month is curated by ISOP members Eun Jung Choi, Curt Haworth, Rob Kopki, Jim Strong. The series highlights the playful interaction between movement and sound artists as live composition. The Impermanent Society of Philadelphia (ISOP) is a new Philadelphia based organization that is focused on promoting the Free Improvisation art forms.